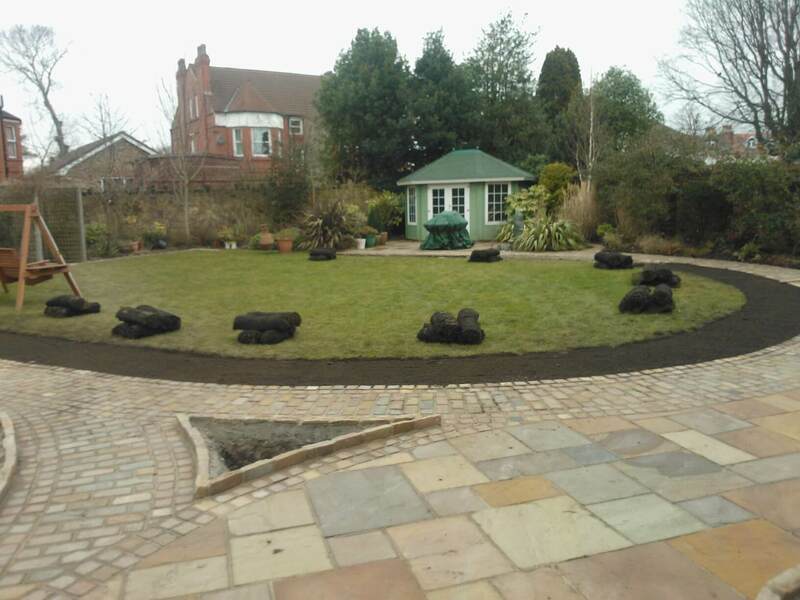 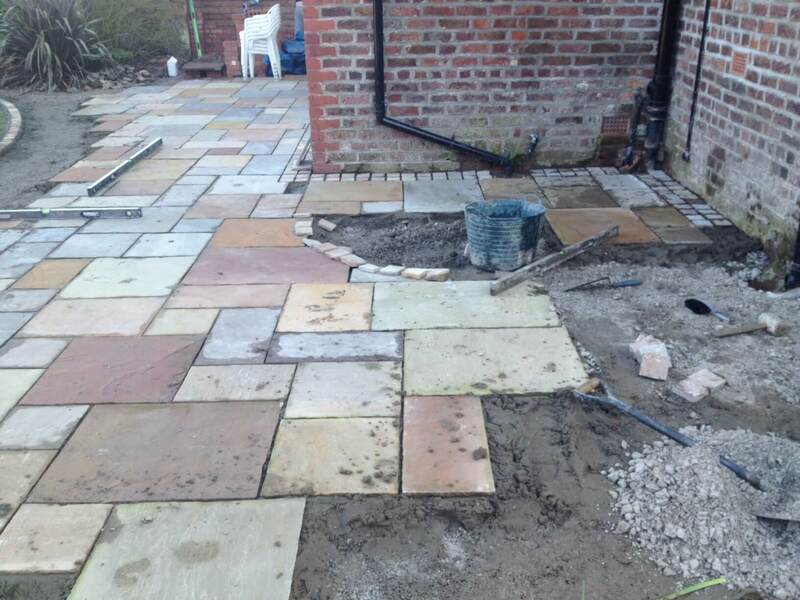 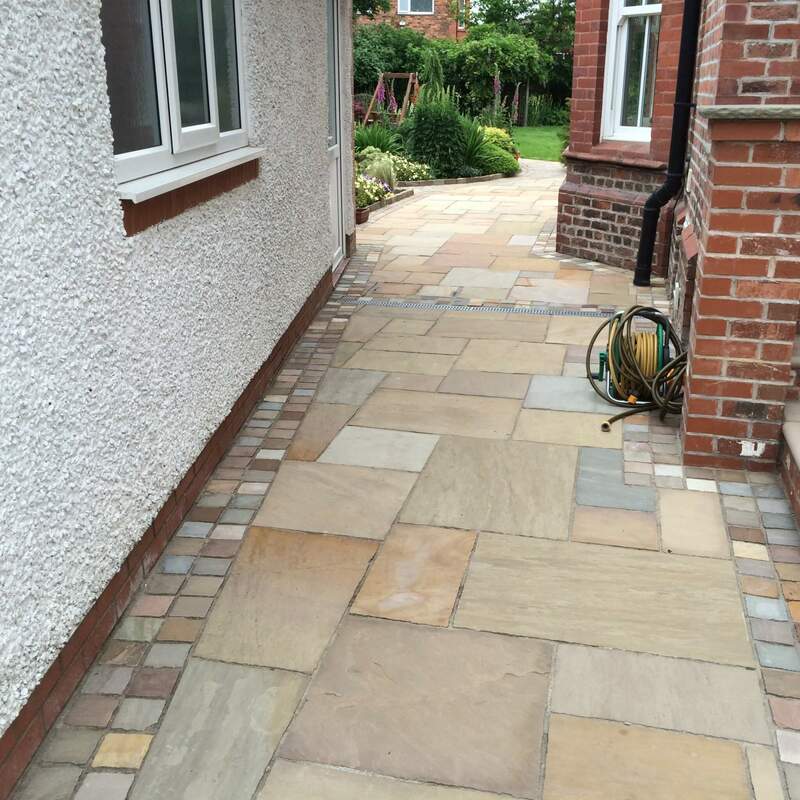 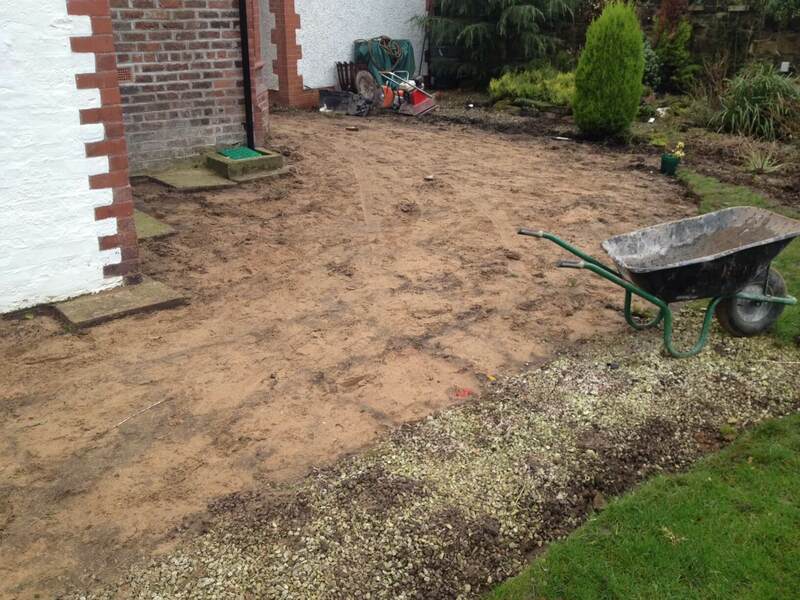 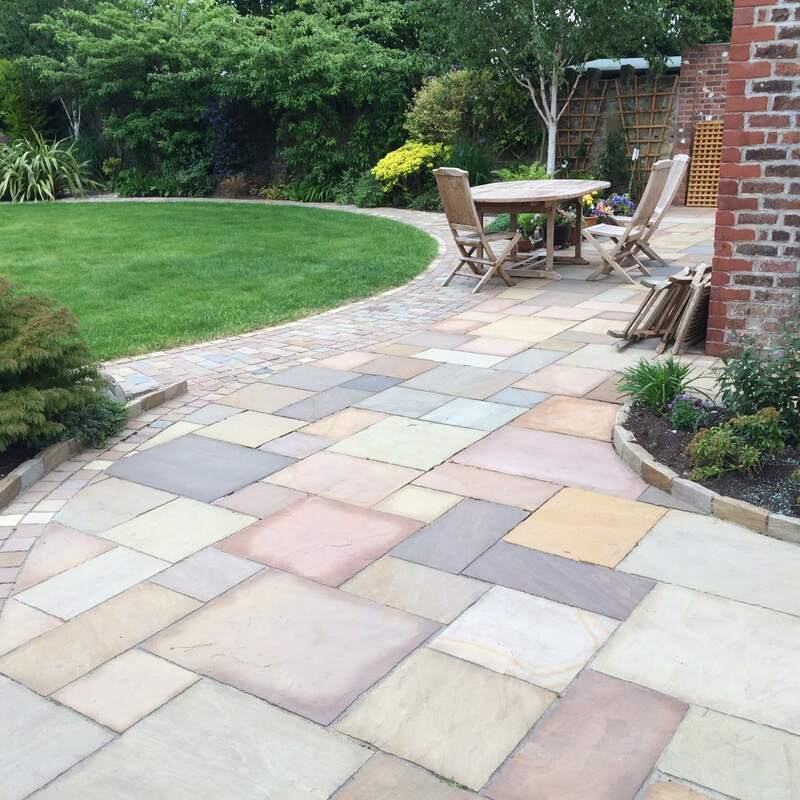 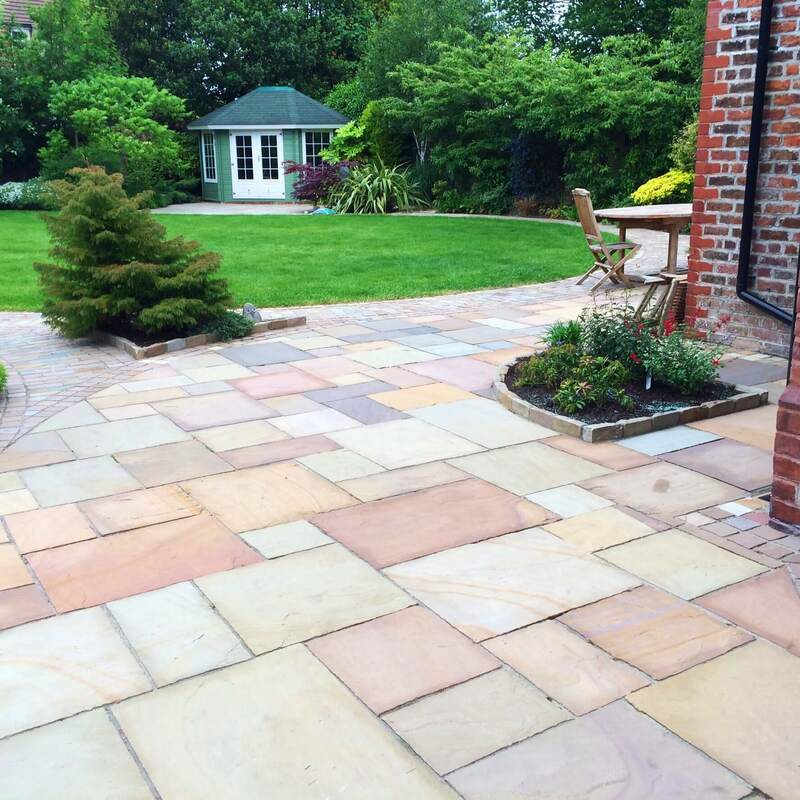 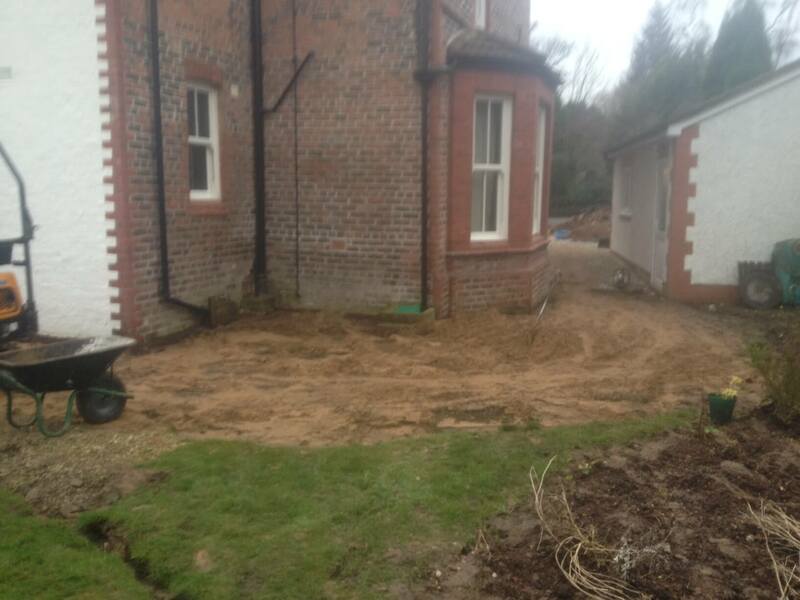 This landscaping garden makeover project was carried out in the Prenton area of the Wirral. 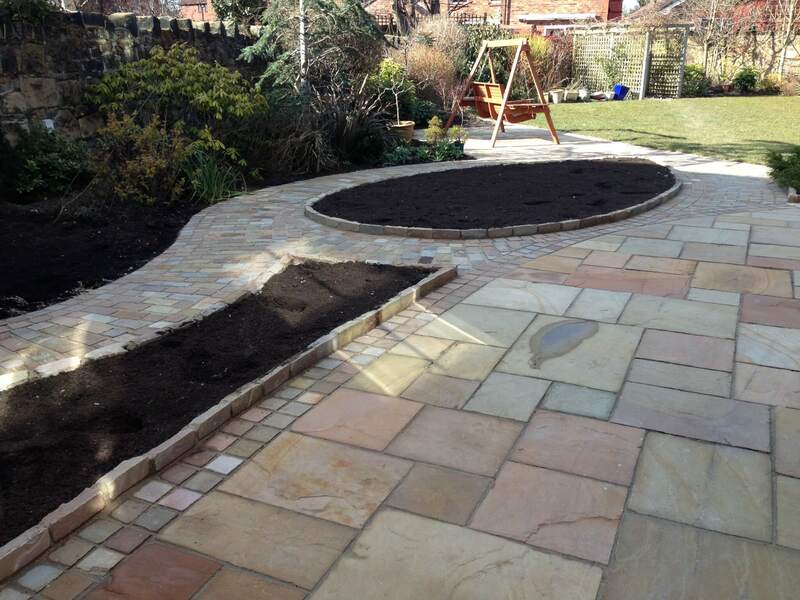 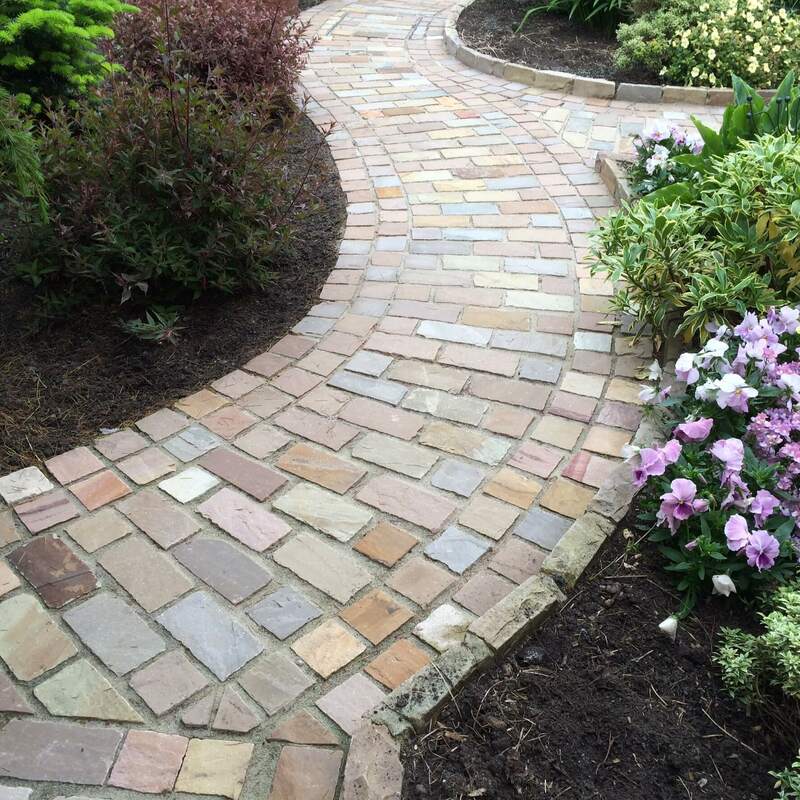 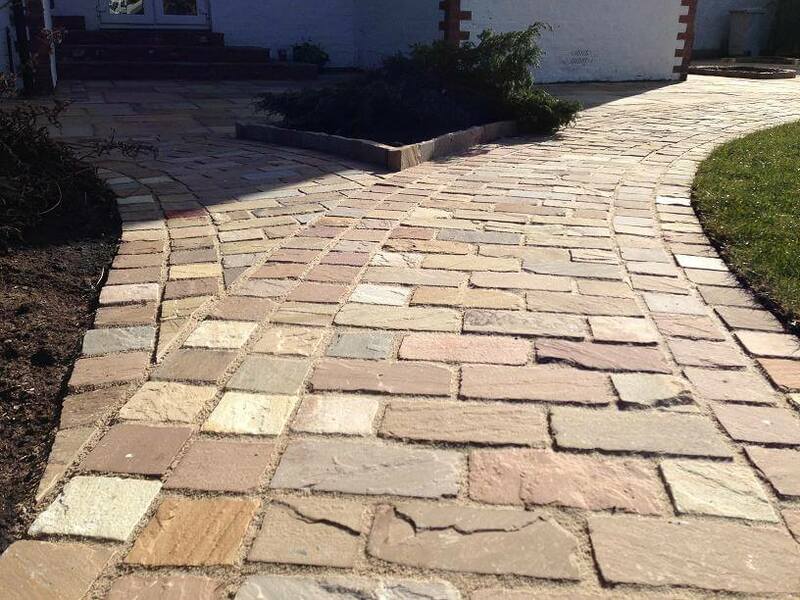 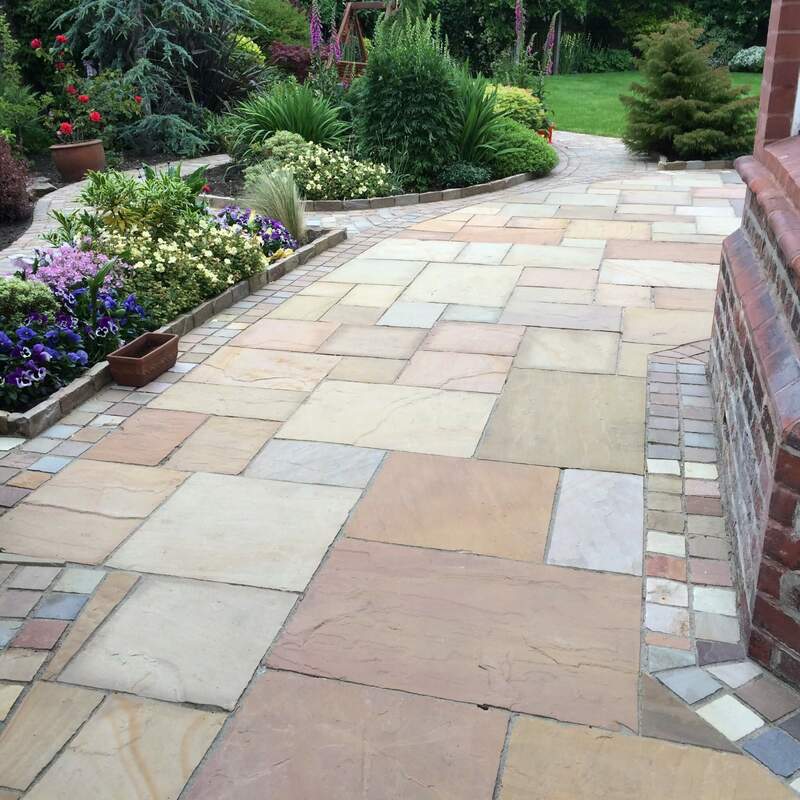 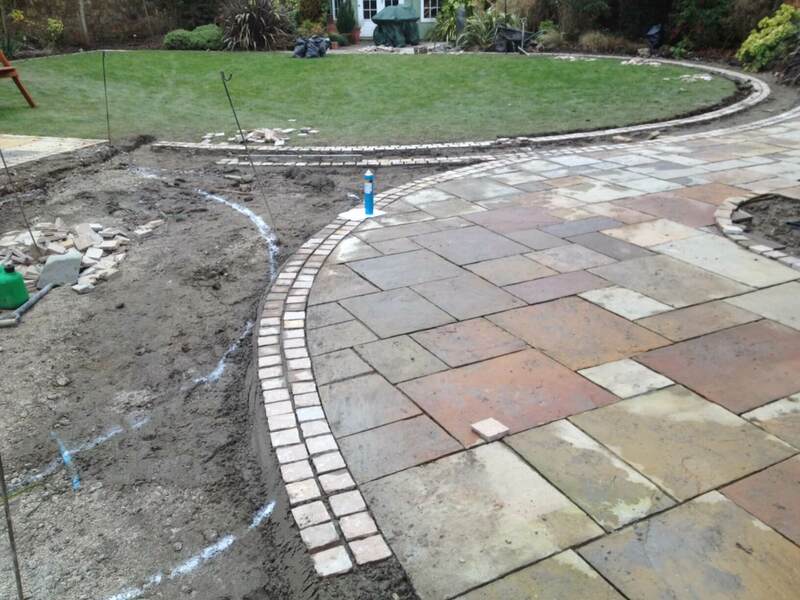 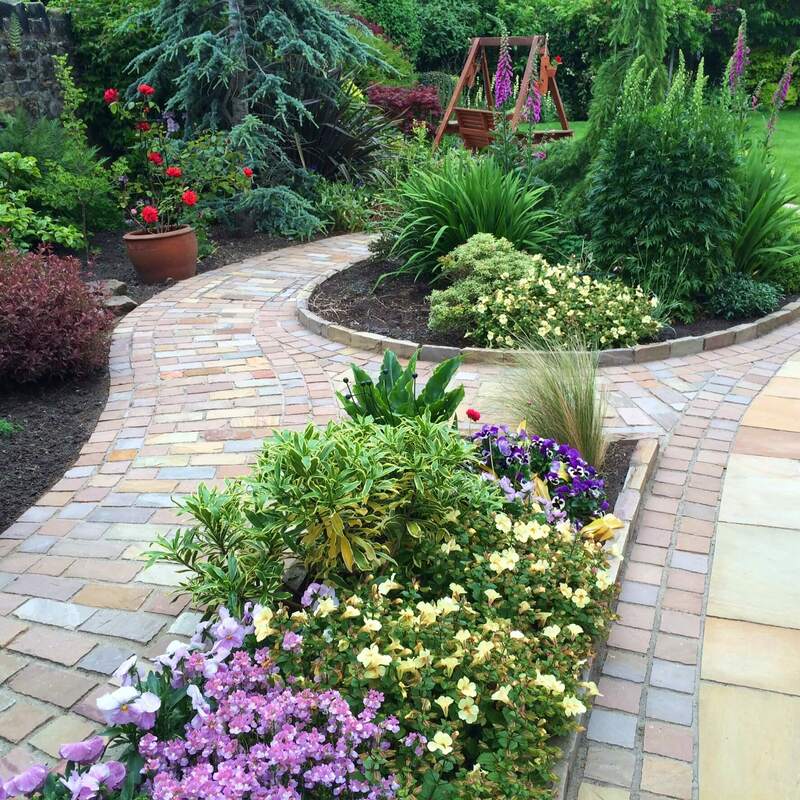 Marshalls Fairstone paving and natural setts were used to create both patios, flower beds, path and edging. 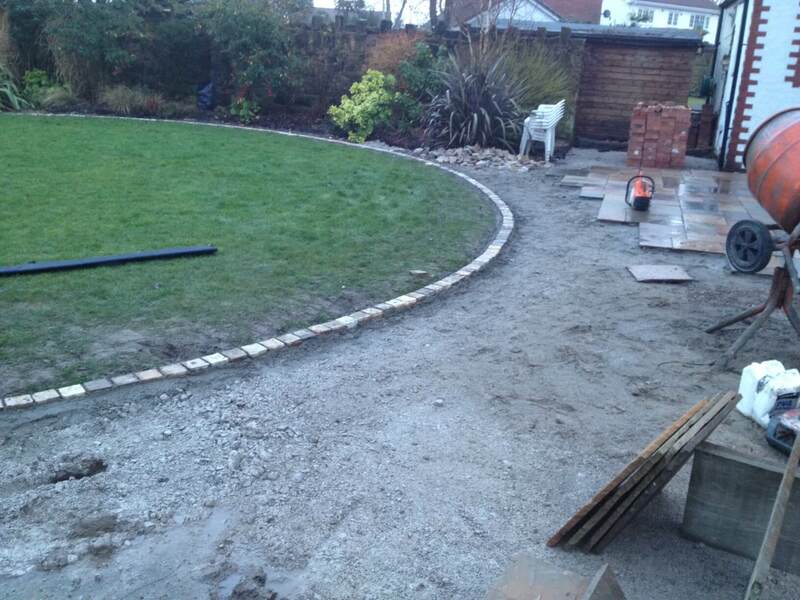 We also installed cobble border trim all around the paving and around the lawn to create a mowing edge. 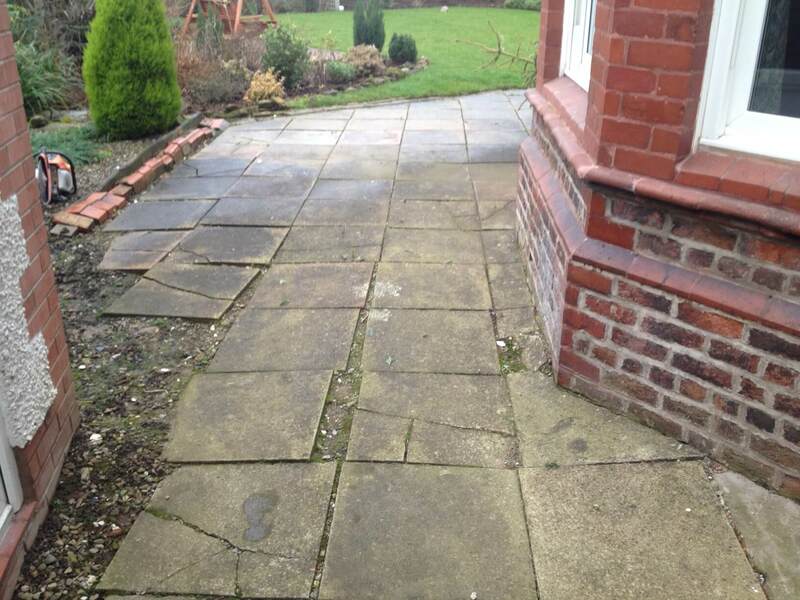 We also re-laid some of the old paving around the back of the summer house and around the garden shed. 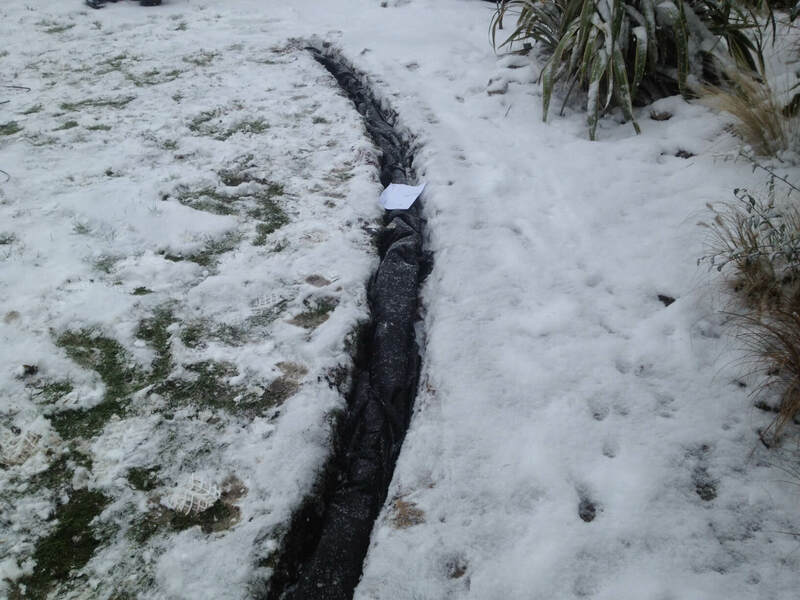 We installed land drains to take away the surface water from the new patio. 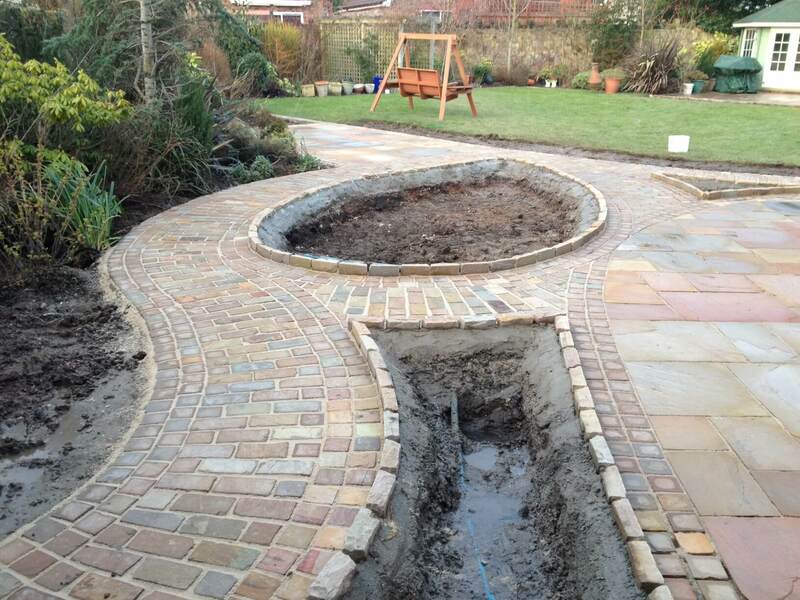 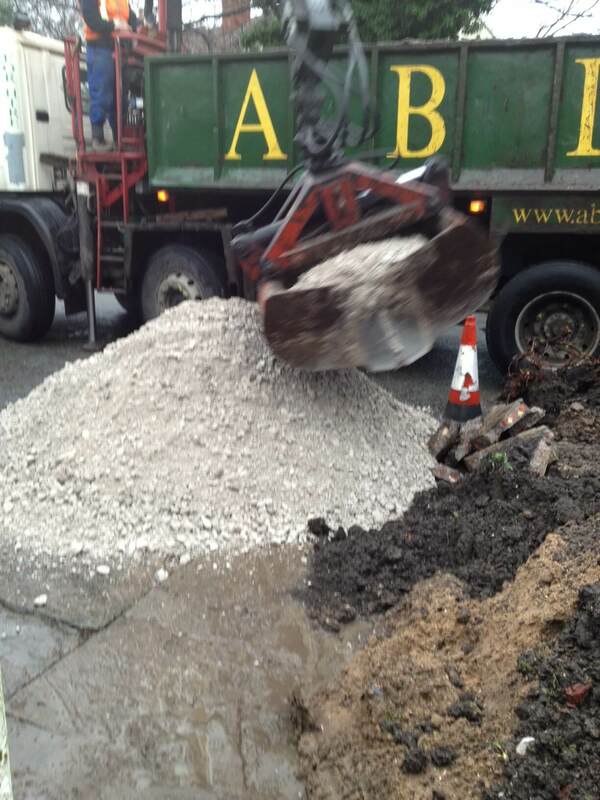 We installed raised cobbles around the specially designed planting areas and filled the planting areas with quality top soil.